Have you considered crowd funding? Are you wondering how it can help your business grow? 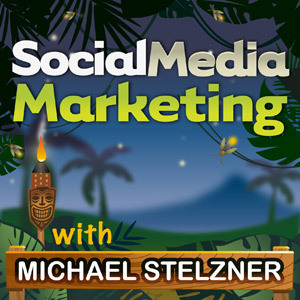 To learn about how Kickstarter has transformed the process of funding projects, I interview Richard Bliss for this episode of the Social Media Marketing podcast. In this episode, I interview Richard Bliss, host of the podcast Funding the Dream on Kickstarter. He’s also a coach and consultant for crowd funding. Richard shares the do’s and don’ts when it comes to creating a Kickstarter project. You’ll learn the process in detail of how Kickstarter works for both the campaigner and the supporter. How would you describe Kickstarter? 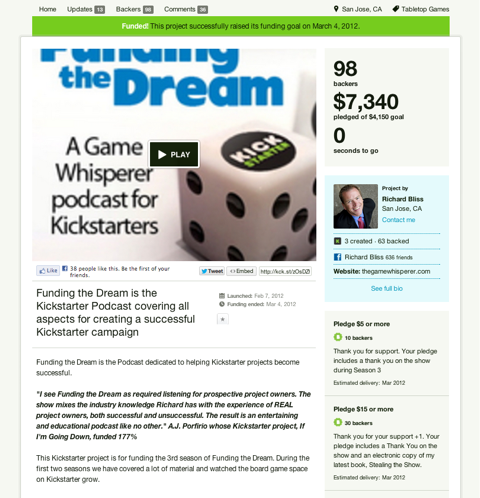 Richard believes that Kickstarter is a new phenomenon that most people are familiar with. He says the idea is similar to what happens in a church when they pass around a collection plate. The crowd helps fund an idea, a passion or something that they all would like to get more of. It’s very public radio– and television–esque in its approach. Kickstarter helps fund creative projects. Listen to the show to find out how Kickstarter has been around nearly 4 years and seems to have hit mainstream now. If you have an idea for a game or a project, for example, you can put it out there and Kickstarter allows you to go find like-minded people. These people want to see you succeed because they like what you are doing. We buy into people’s passions. 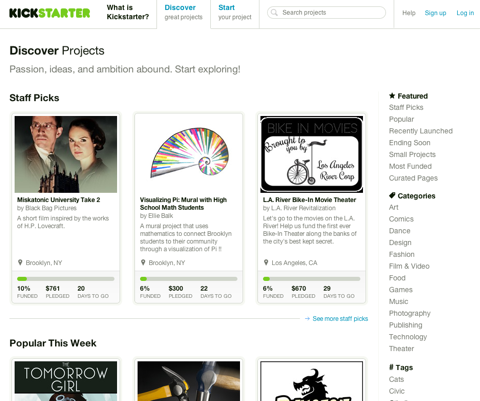 Kickstarter helps project creators discover like-minded people. You’ll hear an example of someone who wanted to do a tour through New Zealand taking video and photographs and how with help from Kickstarter, she achieved her goal. Kickstarter is not into causes, political campaigns, charities, funding businesses or equity. They are into one thing: If you have an idea for a project, which includes a beginning, an end and a deliverable, they will help you fund it. Richard describes what the deliverable can be and why it has to be clearly defined. You’ll discover why the founders of Kickstarter built the platform and the reason it started with film and music. Listen to the show to find out how Richard picked the name for his podcast, Funding the Dream. Richard explains how film is the largest category when it comes to sheer numbers. Sundance Film Festival has had 14 of their projects backed by Kickstarter. This year for the first time, an Academy Award was won by a Kickstarter project. Amanda Palmer made news when she raised more than $1 million to fund her new CD. Richard explains how Kickstarter has 13 different categories and 50 subcategories. One of the biggest categories that gets covered in the news is technology. Technology is the biggest category covered in the news. Transformation is what is happening with Kickstarter and crowd funding. 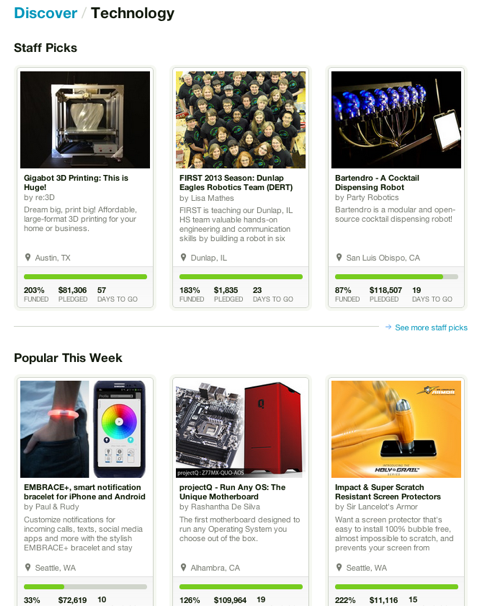 Every Kickstarter category that catches fire turns everything upside down. Richard gives an example of a project he has backed recently and how in the past you’d have to convince a bank to give you a business loan for your idea. But Kickstarter totally transforms the money. You’ll hear the difference between reward-based and equity-based crowd funding. Richard tells the story of how his reputation led Kickstarter to contact him about his podcast and how they wanted to help him Kickstart it. Through reputation, Richard was approached by Kickstarter to help start his podcast. Through Kickstarter, instead of waiting to buy a widget when it hits the market, you can get emotional satisfaction and feedback when you help bring it to market. Seth Godin took only 3 days from idea to execution when he used Kickstarter for his book The Icarus Deception. The big benefit for Seth was that he was able to use the demand to help him get a big contract. He was able to write his own terms with a traditional publisher. Listen to the show to find out how you could be the next Steve Jobs with the help of Kickstarter. Below is a step-by-step guide if you are looking to buy into someone’s campaign. The reason Kickstarter doesn’t take your money is because of the way they work. It’s all or nothing; in other words, if a project falls short of its funding goal, no one is charged. You then receive updates informing you of the project’s progress to date, etc. Project creators usually only have about 30 days to achieve their goal. It can go up to 60 days, but Richard says that longer isn’t necessarily better. You’ll discover what happens to your credit card details when a project reaches its goal and what happens when it fails to fund. When a project that Richard is backing is coming toward the deadline and they haven’t gotten enough funding, he becomes an invested advocate. You buy into it and want to see it succeed. When this happens, you are likely going to recruit your friends to buy into it. When a project is coming to a close and they still need more money, you find yourself becoming an invested advocate. Now project owners are figuring out ways to get you to buy in. This is called a stretch goal. 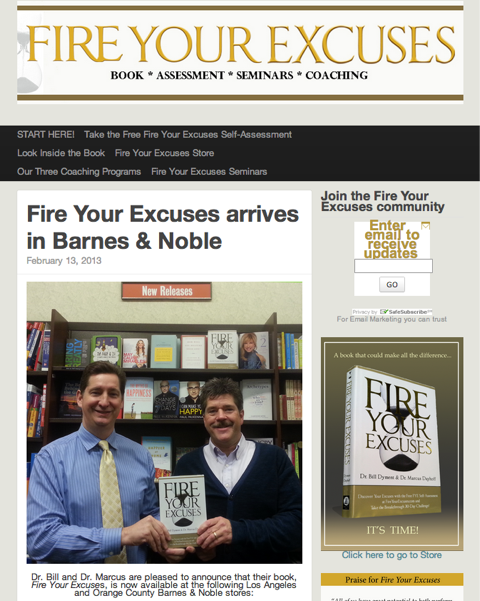 You’ll hear examples of what you can possibly receive as incentives. It’s like a referral lead reward system. Below is a step-by-step guide if you are the campaigner. He gives an example of an idea for a cookbook. Upload a short video with a description of what you need the money for and how much. Make sure your project has met Kickstarter’s guidelines. Does your project fit into one of their categories and does it violate any of their guidelines? Once approved, link a bank account to Amazon. You’ll find out what other options are available in the process and when you can start to tell your friends. Once you have the funding, you now have some responsibilities. You’ll discover what fees you need to factor into your project that most people overlook. Now you have a list of your backers’ email accounts and you have to start to send emails out to them to get their addresses. You need to start to fulfill those pledge levels that you promised. The more backers, the more work it is. Some Kickstarter projects are delayed a year because the creator is trying to get a handle on funding. With regards to accountability, Richard says it’s very rare for a project not to follow through. If it’s easy to fund with a crowd, it’s easier for that crowd to get together and demand. This is the responsibility the creators have to agree to before they launch. Richard says without social media, Kickstarter couldn’t succeed or even exist. Many people believe that if they put it on Kickstarter, everybody will find it, but this isn’t the case. There are 3000 new Kickstarter projects every month. You’ll discover what you need to successfully launch your project and why it’s important to work on your messaging. Richard’s advice is to think about what influence you have on which social group and what project that group would love to support. Remember, start with your passion. Listen to the show to hear about some fun Kickstarter projects and what projects you should take a look at. His co-author thinks they should delegate much of their social media activities, whereas Bill thinks they should continue to build their online presence on various social media sites by writing and curating their own content. Bill, let me share what the research shows us. In 2012, Social Media Examiner released the Social Media Marketing Industry Report, a survey of over 3000 marketers. It found that only 30% of these marketers were delegating their social tasks. And when looking at those delegating their social tasks, 20% were delegating design and development tasks and content creation was at 10%. This means that 90% are not outsourcing the creation of content. If you want to be like most other marketers out there, you probably shouldn’t delegate the creation of content. Listen to the show to hear more about the statistics from the 2012 Social Media Marketing Industry Report. We are now only 2 weeks away. This is going to be the event of the year. If you are into social media marketing and you really want to dig deep and connect with the biggest names in social media marketing, make sure you grab a ticket. What do you think? What are your thoughts on the use of crowd funding to help your business? Please leave your comments below.